Counting is tough! Not to mention addition! 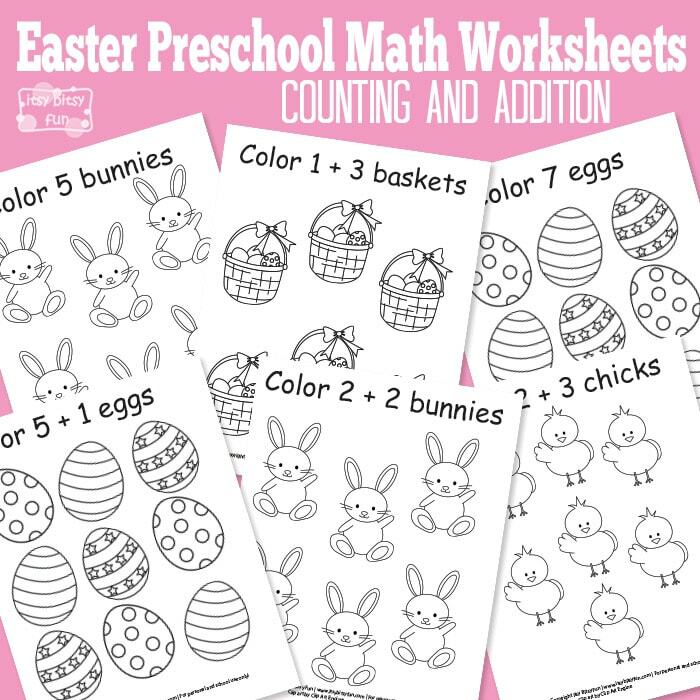 But these free printable Easter Preschool Math Worksheets make it fun as kids have to color the result! 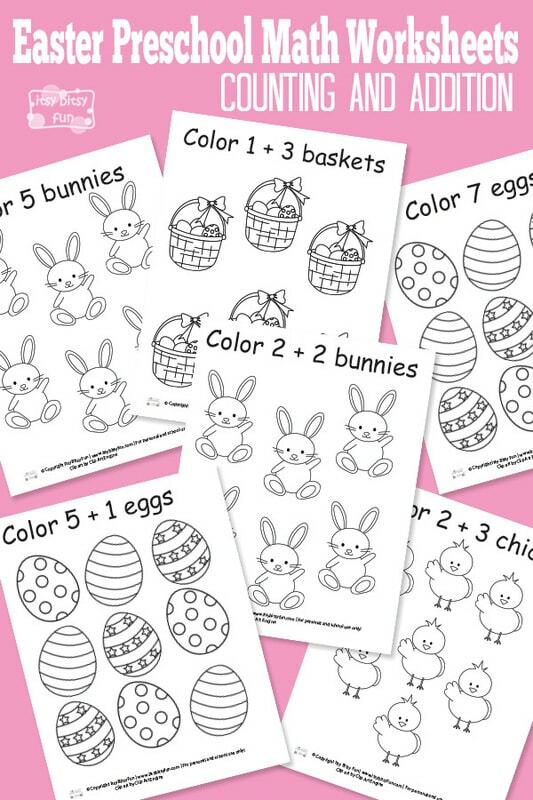 There are 9 pages in this free printable pack on some of them kids only have to count as they are given a number of objects to colors (bunnies, eggs, chicks and baskets). On others they first have to do some math addition (but it can just as easily be solved by counting) with numbers lower than 10 and then color the results. They could also just color the number of objects given in the equation and count the colored images to get the result. You could also laminate these, especially if you will be using them in school, so that they are easily reusable and will last for generations to come. Get your free printable Easter Preschool Worksheets here. Liked these? Also check the summer color by numbers as summer will be here any minute! Your kids might also enjoy this preschool printable pack as it has all kinds of fun activities. Also be sure to print these Easter masks – kids can turn into bunnies or chicks and have lots of pretend play fun.